â€¢ Fill the void left by cutting of art and dance programs. â€¢ Match at-risk youth young adult artist mentors. â€¢ Build self confidence in youth through performance and exhibition. â€¢ Expose youth to career paths in the arts. The FutureArtsNow!after-school program offers several creative expression courses for South Bay Â elementary, middle, and high school youth. During the 2013-2014 academic year FutureArtsNow! partnered Â with 9 schools in the Alum Rock and Evergreen School Districts serving over 300 youth. 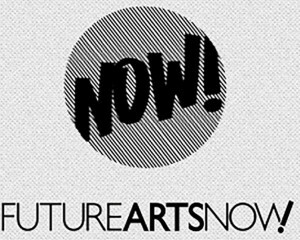 For information on how to bring FutureArtsNow! to your school please contact Program Director Demone Cater [408.320.5022] futureartsnow@gmail.com. A menu of our courses and brochure is below. In this course students will be exposed to great works of poetry past and present. They will then be lead through a series of exercises designed to have them create their own works of poetry and recite them in a â€˜Poetry Slamâ€™ style event at the end of the semester. This course traces the evolution of urban art to the present-day. Students develop an understanding of composition and color, creating visual art with pencils, markers and/or paint. By the end of the course, students are producing artwork that incorporates elements of graphic design, street art-throwups, specialized lettering, and objects. Through the development of imagination and creativity, students learn to appreciate the artistic and creative voice and vision within themselves and others. The concepts of discovery learning and invention through improvisation are encouraged. Students are taught basic dance routines and are encouraged to develop their own steps. This course emphasizes creativity, expression, movement, balance and the overall importance of a healthy body and proper nutrition. Through break-dancing the youth gain self-esteem and are given a unique opportunity to collaborate with other students in a creative outlet. The African Drumming and movement class taught by Kieth Hames form Akoma Arts focuses on building students sense of rhythm as well teaching the history and culture of Afro-Brazlian drum and dance. Nothing teaches more than the game of chess. It develops memory, improves concentration, and advances logical thinking. It promotes imagination, teaches sportsmanship, and inspires independence and self-motivation. Chess builds confidence, gives power to patience, rewards hard work, and turns success into a series of strategic moves that any one can easily apply to every area of their life. Most of all, chess ties together all you do in the classroom, improving both schoolwork and grades in everything from math to art, and enhances a childâ€™s ability to interact with other people. In our Lowrider bike project we strive to continue the legacy and culture of Lowrider bikes in East San Jose. We encourage the concepts of cooperative learning through group projects, where students from different learning levels work collaboratively to design, assemble, and customize their own bikes. By the end of the program, students have a better understanding about the culture of Lowrider bikes and have learned the concept of cooperative learning.